Sentinel Rock was very popular and photographed by most all the photographers who visited echo canyon. 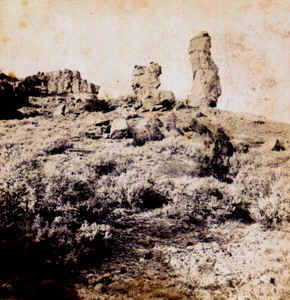 In the early days it was also known as Chimney Rock and Brigham's Monument. It also could be called Brigham meets Wakara.